We are pleased to announce that ISR Performance is now offering a Driver Support Program for Club Loose drivers. 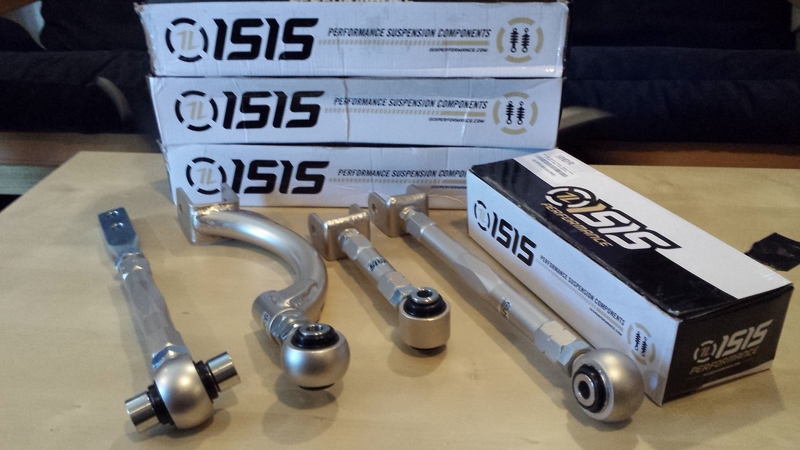 ISR makes a bunch of rad parts for a lot of different drift cars. We have been running a handful of their parts on our cars for a while and have been very happy with them. If you are interested in getting involved in the driver support program, just answer all the questions below and submit it to the email at the end of this page. Make sure to include that you are a Club Loose driver and which recent Club Loose events that you have driven. It’s probably best to submit some pictures from our media guys of you shredding out on track. And after you send all that, they will take care of the rest. 1. Name, Address, City, State, Postal Code, telephone number, and email address. 2. Contact person, if anyone but the racer (i.e. : parent or team manager). 4. Previous year results and any from the current year. 5. Race plans for the coming year (Please include event or series dates and locations if possible). 6. Goals for the coming year and the future. 7. List of vehicles you currently race. 8. List of current sponsors. 9. Statement of why you would be a positive representative to ISR Performance. 10. How you learned about ISR Performance racer support program. 11. Anything else you would like ISR Performance to know about you. ISR Performance will not consider resumes that have incomplete contact information. All resumes must be submitted through the email below. ISR Performance only accepts resumes that have been typed and will not consider any links to outside websites. You must submit your resume as though it is going to be printed off and you may also include pictures. Because of the volume of resumes received, ISR Performance may not respond immediately to your inquiry. Send your resume over to info@isrperformance.com to get the process started.